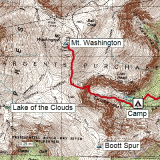 ExpertGPS is the best GPS map application for planning outdoor adventures. See your GPS places and tracklogs from any GPS receiver over aerial pictures and US topographic maps. Schedule your next adventure over scanned USGS maps and send the route straight to the GPS tool to guide you out there. View the GPS tracklog over the aerial picture to see accurately where you went. The application works with all your mapping and data-conversion jobs. You will be capable to transform any GIS, GPS, or CAD data to or from GPX, Google Earth KML and KMZ, Excel CSV and TXT, SHP shapefiles, or AutoCAD DXF drawings very easy. You can reproject information in any geographic format (UTM, lat-lon, US State Plane) and customize datums rapidly. With ExpertGPS, you will be capable to compute acreage, measure distance, grade and elevation. The application downloads aerial pictures and topo maps for any place in the US, keeping the maps to your hard disk. Disconnect your computer and head out on a trip, and all of your information is ready to use. Whether you are finding a new trail or exploring a 400 acre parcel, ExpertGPS offers you the maps and features you need to get your job done. No other application makes it this simple to add your own information to maps and aerial pictures. Easy to backup and restore. Convert GoogleEarth kml files to NAD shp files. ExpertGPS has been tested by Download82.com team against viruses, spyware, adware, trojan, backdoors and was found to be 100% clean. Our editors will recheck this software periodically to assure that it remains clean.